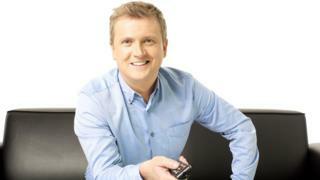 Singer Aled Jones has said he is “deeply sorry” for any upset caused after allegations about his behaviour, but denied any “inappropriate contact”. Responding to newspaper claims of inappropriate “messages”, his spokesman said the Songs of Praise star accepted his behaviour more than a decade ago had been “occasionally juvenile”. The spokesman said he had “voluntarily agreed not to go on the BBC whilst the matter is investigated”. The BBC is not commenting on the story. Mr Jones’s spokesman added that the allegations from a single female complainant of inappropriate messages and contact, reported in the Sun, did not relate to any broadcast work, and related to a matter more than 10 years ago. The 46-year-old father-of-two continues to present his Sunday morning show on Classic FM. The statement said: “Whilst he accepts that his behaviour over a decade ago was occasionally juvenile, as was that of others, he never intended to harass or distress and he strongly denies any inappropriate contact. Mr Jones first found fame at the age of 12 when his re-recording of Walking In The Air, from animated Christmas film The Snowman, reached the top five of the UK charts in 1985. The Welsh former choirboy received an MBE in 2013 for his services to music and broadcasting. He was a contestant on Strictly Come Dancing in 2004 and has also appeared on TV shows including Daybreak, Escape To The Country and Cash In The Attic.